The monarchy is one of Britain’s longest surviving institutions – as well as one of its most tumultuous and revered. 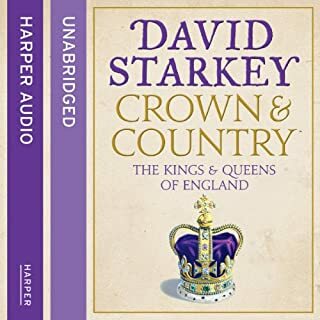 In this masterful book, David Starkey looks at the monarchy as a whole, charting its history from Roman times, to the Wars of the Roses, the chaos of the Civil War, the fall of Charles I and Cromwell's emergence as Lord Protector – all the way up until the Victorian era when Britain’s monarchs came face-to-face with modernity. This well researched and written biography of a fascinating subject, is far above historical fiction. 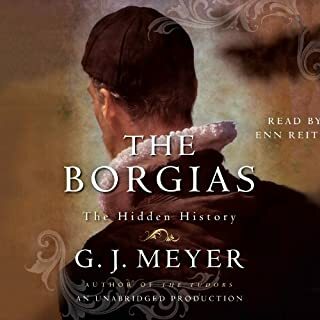 The narrator's overly refined accent is the only flaw in an otherwise superb audiobook. Half history book, half fictional novel. I've always been interested in the Plantagenets, and Edward II is always one of the more colorful individuals. I was excited to find an audiobook that's more specific to this rule. 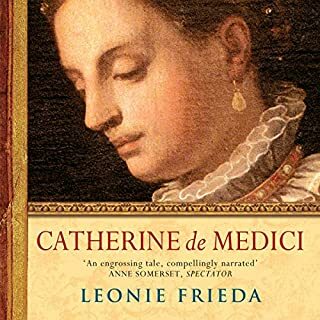 Sadly, while this book is full of good information and paints a vivid picture of the circumstances Isabella found her self in regards to her relationship to her husband and his favorites, the author constantly inserts her opinions and hypotheticals, and then presents them as facts. The whole book is filled with 'probably', 'must have felt', 'perhaps', and 'possibly's, with only the author's vision inserted, and very few other views represented. It wasn't too bad for the first two thirds of the book, but then after Edward's overthrow and death, the author started grasping at any straw possible to preserve her opinions, to the point often it seemed like she was grasping at straws. 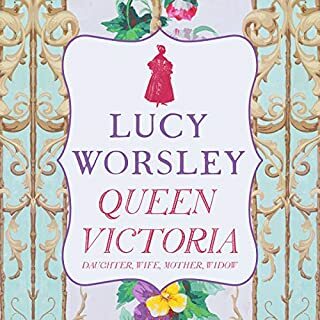 At her husband's death, the author wouldn't even consider the possibility that Isabella was involved in any way, and wouldn't even consider that the queen even knew of it. Then she goes off on how the king wasn't murdered, but actually alive, and bases this on a single letter which basically amounts to an Elvis sighting. This letter has several errors, including dates and names, but the author just waves them off as the letter writer 'being confused', and then states that there's absolutely no reason this letter should be discounted. Amusingly, this letter implicates the queen as trying to kill the king, but the author counters this by saying that there's no way the letter writer could've known that innocent Isabella was far away in another castle and didn't even know about the attempts on his life! From then on, the author presents this theory that Edward was still alive and living as a hermit as fact throughout the rest of the book, ignoring all evidence to the contrary. Nevermind the fact that hundreds of people viewed the body, (the author explains that away by saying they 'probably embalmed and wrapped the body' and that the people that viewed him weren't people that were close to him. Or the fact that the body used instead was a random servant who had been killed in the king's escape. The King was an unusually tall man for the age, what are the odds that a randomly killed servant had the same body build as him? Anyways, all things considered, the author of this book for the most part has done excellent research, and there is a lot of good information in the book, which makes is sad that there's so much fluff and personal opinion filling up the pages. Sadly, the author does do some disservice to the queen in my opinion. Though she tried to paint her in a feminist view, she turns her into an innocent, doe-eyed queen who only got a bad rep because of the 'evil men' dominating her life, instead of the master of court intrigue that she surely was. The narration was very decent, with Lisette keeping it interesting. The only slight complaint I have is the constant small pauses in narration with each punctuation mark, but it's easily overlooked. Fascinating from first sentence to the very end. 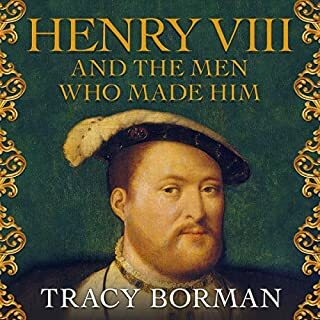 Anyone with an interest in discovering the many facets of the truth behind some of English history's most notorious events will be riveted by this straightforward account that presents the facts as recorded and puts them into context of the myths that have survived. What was one of the most memorable moments of Queen Isabella? What does Lisette Lecat bring to the story that you wouldn’t experience if you just read the book? One of the finest readers I have ever heard. 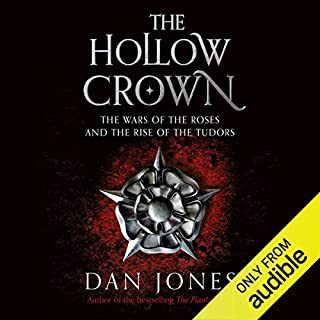 If you even think you might like medieval history, don't miss this; the entire age in presented in a way that fills you with actual documented facts that are more amazing than historical fiction. What made the experience of listening to Queen Isabella the most enjoyable? Lisette Lecat is a wonderful reader with a lovely voice and perfect diction, in French [this is rare!] no less than in English. 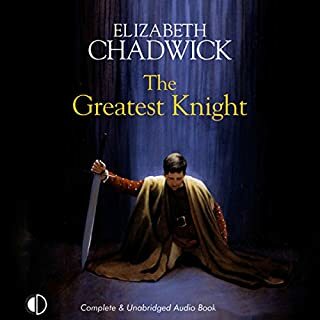 I returned to the audible website with the intention of buying whatever other book she might have recorded and was disappointed not to find any within my range of interest. She is the only reader to so rouse my enthusiasm. I am incapable of imagining a better one. I was particularly struck by Queen Isabella losing her immense popularly because she made peace with Scotland rather than committing resources and lives to continuing a war that was hard if not impossible to win. 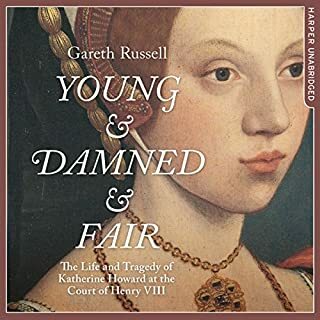 I was also amazed at how the canny Mortimer, abetted by Isabella, so quickly slid into the same kind of arrogance and rapaciousness that had brought about the Despensers' and Edward II's downfall. I doubt if anybody would want to listen to 21 hours in one sitting. 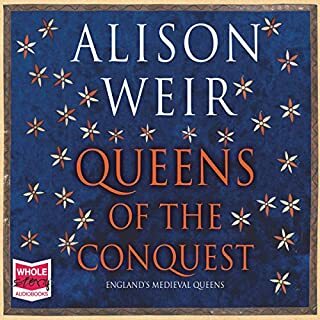 This book filled in some important gaps in my knowledge and understanding of 14th century history and quite held my interest throughout. It made me realize yet again how much one needs to go into the details to build up a sense of history. 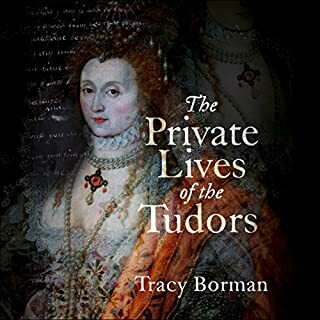 An excellent book on a fascinating time in history, about a remarkable woman who is often misrepresented by historians. Nicely narrated as well. Thank you! 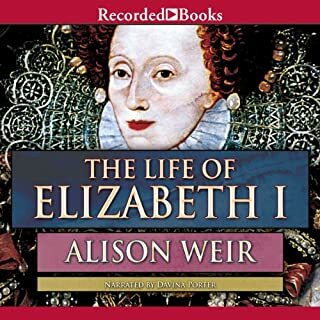 Like the other books I've listened to written by Ms. Weir, this was yet another example of excellent research matched with interesting bits of information about the time and culture in which she narrates the character's life. Wonderful listening. a fair depiction of a vilified queen. I always enjoy Weir's histories and this book is no different. The depiction of Isabella as a person of her time instead of a villain is greatly refreshing. Weir admits Isabella's faults openly but does not allow them to overshadow her other attributes. 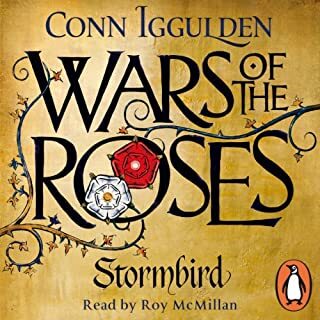 The narrator has a beautiful voice and reads very well. However, it was hard to get past the "sound" of bubbles popping either from too much saliva or what, oddly enough, sounded like chewing gum. 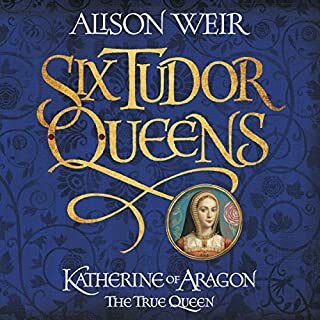 The story is wonderful, and I've always loved Allison Weir, but I had an excruciatingly hard time getting through the book because of wet sound that accompany the narrators voice. 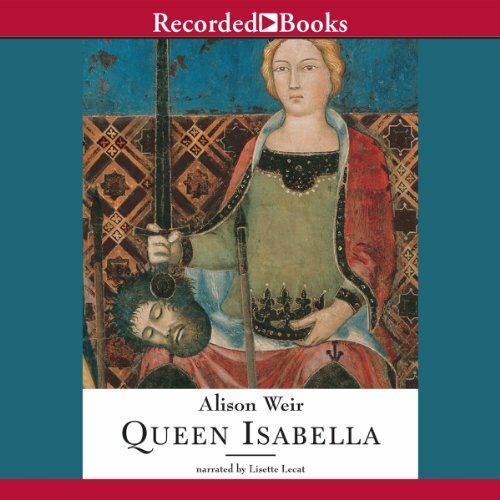 Would you listen to Queen Isabella again? Why? 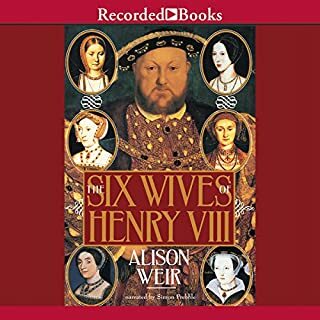 This was a good book, written from a modern woman's point of view, and presumably countering some of the stories that have grown up around Queen Isabella. As always, Ms. Weir paints a picture of the times and people. I wish there were more extant writings to fill in some of the blanks spots. 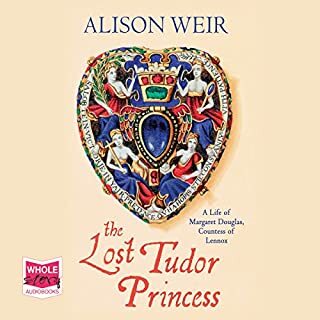 Would you try another book from Alison Weir and/or Lisette Lecat? I enjoy the writer and the narrator , this book is nothing but a chronological order or dates and names it's exhausting to listen too . 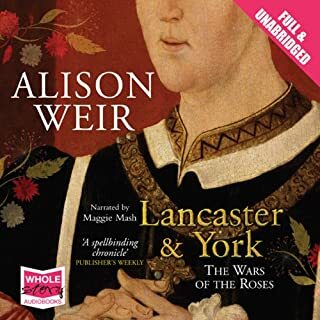 Well I solved my insomnia..
Would you try another book written by Alison Weir or narrated by Lisette Lecat? I love both the author and the narrator, however this book wasn't for me. If i have trouble sleeping, the subject matter and the gentle tones of Lisette Lecat help me on my way to slumberland. What could Alison Weir have done to make this a more enjoyable book for you? To be perfectly honest, It can't be improved upon, it's just dry. What didn’t you like about Lisette Lecat’s performance? Oh lissette did an excellent job. Was Queen Isabella worth the listening time? If you love the subject matter yes, if you want excitement no. 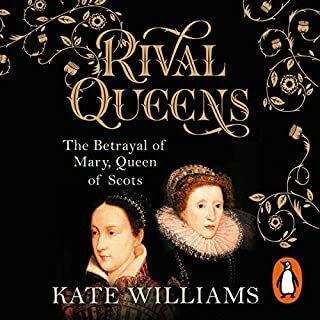 Surprisingly boring biography of a controversial queen. Isabelle has been known mostly as “La Louve de France” a volume of Maurice Druon’s “Les Rois Maudits”, which I believe became popular again when it was cited as an inspiration for “Game of Thrones” - which I’ve never seen- so I assume it’s available in translation. Even though Druon was writing historical fiction, I think he gave a better account of Isabelle. You wouldn’t expect a woman whose father was Philippe le Bel (destroyer of the Templars) and father-in-law the warmongering Edward I, to have a serene life - especially after Jacques de Molay’s thundering curse (you don’t need to believe it, it’s enough that many believed it at the time). Her rôle in the destruction of her sisters-in-law is downplayed, as is much of her vindictiveness. Fortunately there are limited sources describing her clothing (the author is prone to recount in mind numbing detail the fashion sense of her subjects!). I don’t think she can assume that Isabelle’s marriage was not consummated till her first conception four years later. A woman’s early periods do not usually mean she is fertile (although I wouldn’t count on it as a reliable method of natural birth control). I had hoped for a nonfiction biography from the English point of view; I didn’t get it. 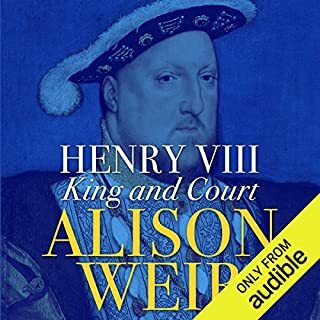 I'm a real history boff and was really looking forward to listening to this but was very disappointed.the content is good but the narrators voice just seemed to drone on and I actually fell asleep a couple of times! What would have made Queen Isabella better? A better narrator, this narrator put me to sleep listening to her slow speech. Written it as a more exciting drama. Less description , More story. She was slow, had no interest in her voice and flat tone. Yes . Would definitely like to return this book. After listening for about an hour I was Bored.Waste of a credit.